The summer REI catalog showed up in my mailbox the other day. It’s full of all kinds of gear for camping that you probably shouldn’t go without unless you’re me. I hate camping! I leafed through the catalog to pass some time before heading to the bus stop to get my daughter. It got me thinking, people go camping to enjoy nature but how eco-friendly is camping, for the average person? Many, if not all the pictures I see include plastic water bottles, plastic utensils, paper plates, napkins, disposable cleaning wipes full of chemicals, etc. 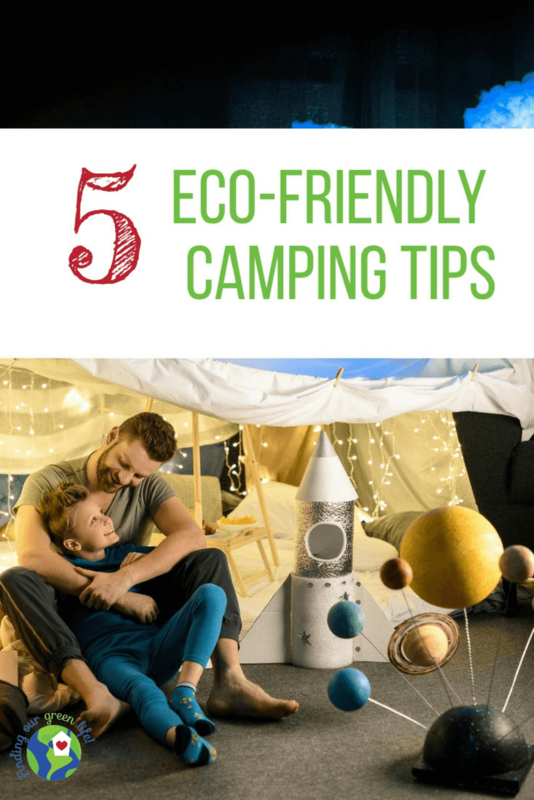 Time for some tips for eco-friendly camping! My husband loves camping! My son likes camping. My daughter will go camping if I go so looks like she won’t be going again. Even though I don’t camp, I still get to do some of the preparations and packing for the camping trips. Remember, you’re camping to enjoy nature and hopefully leave no trace of your trip behind. I am by no means qualified or knowledgeable about backcountry camping or true wilderness camping. I’m talking about a few days at a traditional camping site, these tips are for the average family camping trip. If you’re into the Bear Grylls type camping, I’m not your gal. Reusable Products – the less disposable items you take, the less likely you will be to leave much trash behind. Sure, disposables make clean-up easy but isn’t one of the rules of camping to leave no trace? I remember this from Girl Scouts. Water is always a must on camping trips so make sure to take reusable water bottles and the biggest container of drinking water you can find. Keep in mind all the other things like plates, napkins, utensils, straws, cups, etc. 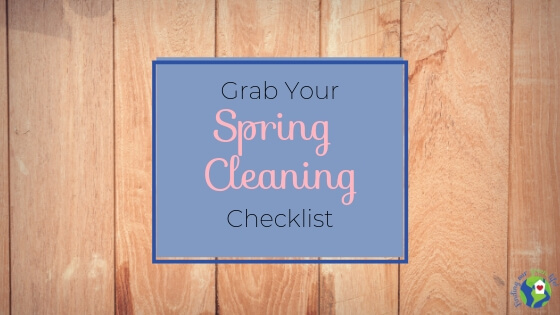 I have a blog post with all the information you need to make some easy swaps. Recycle – make sure to bring something to collect all your recyclables so you can either dispose of them properly there or bring them home to dispose of. As I mentioned, I don’t camp but when we go on road trips, if I can’t find a recycling receptacle, I have a designated reusable bag in the car for anything that I can bring home to recycle. I would imagine most camping facilities have appropriate recycling stations but if not, bring it home. Biodegradable Soap – you’ll need some soap to wash the dishes (and yourself unless you just rinse off in the river, ewww) you use so make sure it’s an environmentally friendly one. We have used Dr. Bonner’s Liquid Castille soap in our home for years and love it. While you’re camping, you can use it to wash your dishes, your body, and even your hair. Just make sure after you’re done with the washing, you dump the water on dry ground instead of in the river or waterways. Non-Toxic Bug Repellants – being out in the woods with nature is sure to leave you with some bug bites. Rather than spraying harmful chemicals into the air and on to your skin, try one of these wristbands which are also waterproof. Straight out of the package, they smell a bit strong but something’s got to keep those pesky mosquitoes away. The bands are comfortable to wear, reusable and can be refreshed with your own essential oils. They are also approved by my kids which means they will wear them and not kick up a fuss. The band is adjustable so you could put one around your ankle as well. I could also see clipping one on to a backpack for extra protection. I can’t imagine returning from any camping trip without at least one bug bite. I am not an expert on essential oils but we love and use *Plant Therapy essential oils. 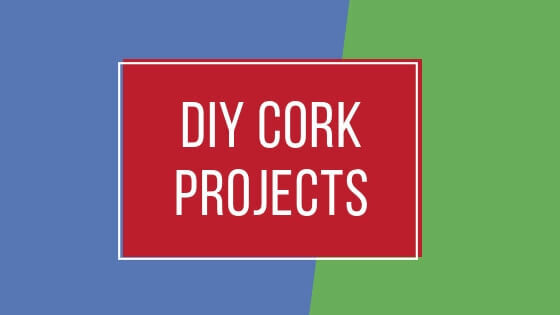 You can search Pinterest (like I did) and find a few different rollerball blends to make and use with bug bites. Lemongrass, eucalyptus, lavender, geranium, and peppermint are all popular oils to include. I can’t remember what I put in mine but I distinctly smell lavender and peppermint and they definitely work. As soon as I get a bite, I apply the oil blend and the itch goes away immediately. No need to use any products that contain harsh chemicals when you can use something that’s not only natural but effective. Snacks and Meals – plan and prepare your snacks and as much of your meals as possible before you go. The more prepackaged items you can avoid, the less waste you’ll generate. When my husband took the kids camping a few years ago, we planned out the simple meals they were going to eat so we could get everything prepared beforehand. They were going to be camping for just a few days so we didn’t have to prepare a lot but things like burgers can be prepared ahead of time and then cooked, chicken can be in a marinade in a container and then grilled/cooked. Sandwiches are always an easy option. A large bag of chips/popcorn/cookies, etc can be easily divided up rather than taking the snack sizes. Fruit like apples, bananas, and melons are all easy to take and don’t require packaging. Just be sure to dispose of your food waste appropriately so you don’t have unwanted visitors. Another reason I don’t camp. I have no interest in seeing a bear up close and in person. So there you go! 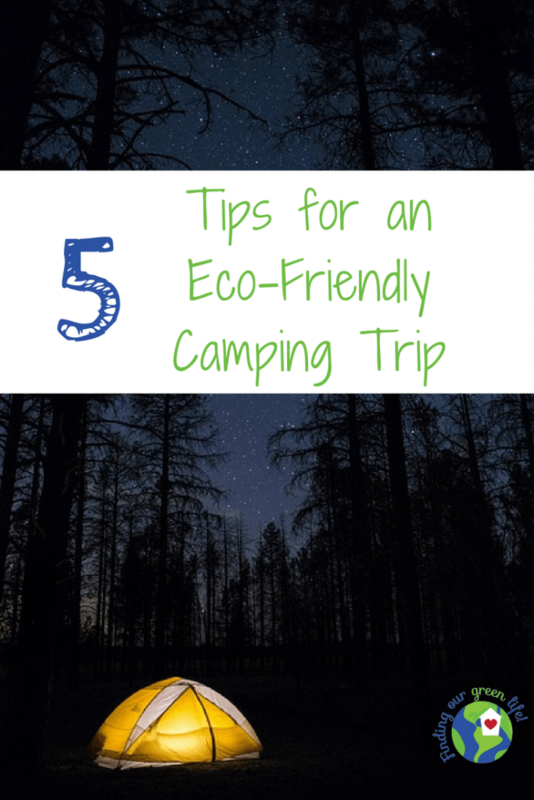 5 tips for eco-friendly camping that are not only easy to implement but won’t break the bank. Do you and your family camp? Any die-hard campers out there who can convince me I need to give it another try? You’ll have to have a pretty compelling argument. Great tips. I’m not much of a camping person either, but we do holiday in low glam places where bug repellent is key as well as taking all our rubbish with us. We take our recycling home and try to minimise our impact as much as possible. YAY! I’d love to hear about some of your low glam holiday destinations. Perhaps I could be persuaded. Fabulous tips! I totally am a camping person. Thanks Kelly! Hope you find them useful.